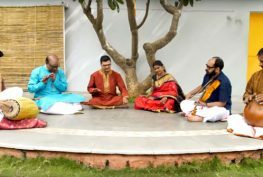 The song being rendered is Paluke Bangaramayena – a very popular song by Bhadrachala Ramadasu in AnandaBhairavi Raga. The song is a fervent plea to Rama for his grace and asking why he is not answering for his Baktha. 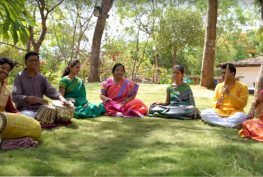 The song is a Traditional one and popularly sung widely especially as part of Sri Rama Navami Celebrations.